In our series of Best Video Card guides, here’s the latest update to our list of recommended graphics cards for gaming PCs. All numbers in the text are updated to reflect pricing at the time of writing (Mar 6th). Given the increased video card prices that have come to characterize much of 2017 and 2018, 2019 is already off to a better start, especially as more new products have filtered in. The majority of our recommendations aim to hit the performance/price curve just right, while considering power consumption and graphics/monitor ecosystems. For most video card buyers, the key consideration is a card’s performance-per-dollar and their relative budget. It’s an obvious point to bring up, but at the time of the last buyer’s guide, NVIDIA’s three new cards – the GeForce RTX 2080 Ti, RTX 2080, and RTX 2070 – had more impact due to displacing older high-end GeForce GTX offerings rather than offering strong performance/price gains. So for people looking to spend less than $500 on a graphics card, the 2018 holiday season didn’t change much from mid-year. This time around, the situation is quite different. 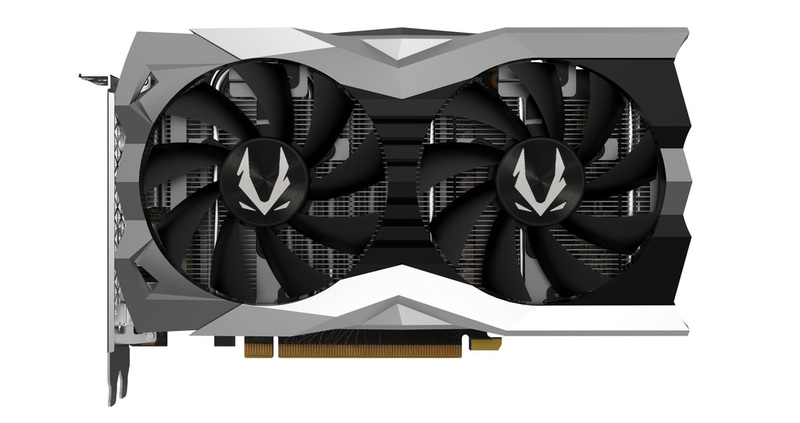 Not only has cryptocurrency mining demand died down, but NVIDIA has also continued their top-to-bottom rollout of Turing GeForce cards, which are finally approaching the mainstream segment with the RTX 2060 and GTX 1660 Ti. In turn, Pascal-based GeForce cards are well on their way out from the GTX 1060 6GB and above. Where NVIDIA’s GeForce RTX 20 series brought larger price premiums along with their marquee features of hardware-accelerated raytracing and AI operations, the GTX 1660 Ti excludes those aspects to provide comparatively better performance-per-dollar. And as for AMD, with the Radeon RX 590 launch just behind them, the release of the Radeon VII puts an alternative to the RTX 2080. That being said, it’s not quite a return to the glory days of the Radeon R9 390 and GeForce GTX 970. In the past few generations, that $300 mark was more-or-less a ‘Sweet Spot’ for enthusiast value, offering affordable last-gen flagship performance. Even still, this space is still a good price/performance match for a variable refresh monitor or higher-end VR headset, especially as VR headset and FreeSync/G-Sync monitors are becoming more affordable. The variable refresh technologies themselves can provide smoother gaming experiences, enabling mid-range cards to punch above their traditional weight. But the big development here is NVIDIA’s adoption of VESA Adaptive Sync under the ‘G-Sync Compatible’ branding, meaning that GeForce hardware can now utilize variable refresh rate technology on FreeSync monitors. Previously, AMD cards were limited to FreeSync/Adaptive Sync and NVIDIA cards were limited to G-Sync, such that your choice of video card locked your options. Between them, NVIDIA charges a premium for G-Sync, which is reflected in higher monitor prices. But because AMD does not have a strict certification program outside of FreeSync 2, there are some questionable FreeSync monitors, and annoyingly, some without support for Low Framerate Compensation (LFC). 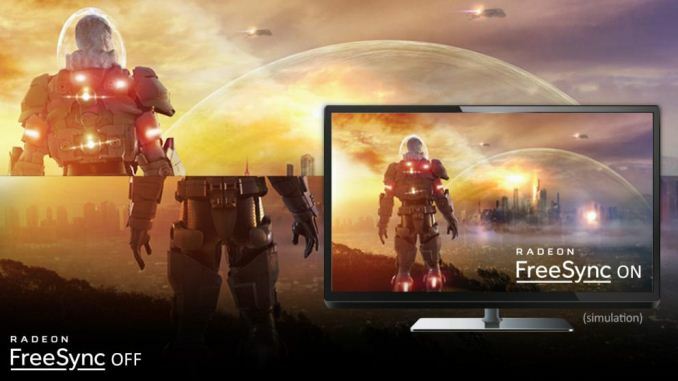 If you are looking to purchase a FreeSync monitor, LFC is almost mandatory as it maintains the variable refresh experience when the refresh rate dips below the monitor’s minimum, which for many monitors is still 40Hz+. Both technologies, however, have premium versions that offer additional features like HDR: G-Sync Ultimate (formerly G-Sync HDR) and FreeSync 2 HDR. The question becomes much more difficult, not just with HDR being pushed as the premium gaming experience, but also with NVIDIA's promised raytracing graphical effects and AI-based graphics accelerating features such as Deep Learning Super Sampling (DLSS). Returning to you, the consumer, this means that min-maxing for a VR build or new monitor has become that much harder. Particularly if your game tastes veer towards either DX11 or DX12/Vulkan games; as a rough rule of thumb, GeForce cards tend to perform better on DX11 games while Radeon cards tend to perform better (or at least punch above their weight) on DX12/Vulkan. We will keep these complications in mind when we list our recommendations. With the new NVIDIA GeForce RTX 20 series – and specifically the GeForce RTX 2080 Ti and RTX 2080 –4K gaming has finally gotten a true successor to the Pascal-powered GTX 1080 Ti, which has all but vanished. So when it comes to playing at 4K with all the settings cranked up, the GeForce RTX 2080 Ti is the new flagship. Despite the generally higher RTX pricing structure and modest generational gains in traditional performance, the RTX 2080 Ti is essentially the only option for the mortals among us. While the $2500 Titan RTX could make a claim the single GPU crown for no-compromises 4K gaming, the asking price is a little under double for what is comparable performance. And what you get is 60 fps and beyond at 4K with ultra/max settings in AAA games, and in turn enabling excellent 1440p performance, a natural pairing with high refresh rate monitors (96Hz and above). While on average this is not unlike what we've seen from the Titan V, at $3000 and a peripheral focus on gaming, that prosumer card could only be recommended as a gaming video card where price was truly no object. As opposed to the reference-only Titan V (and Titan RTX), the RTX 2080 Ti also comes in the variety of overbuilt custom cards typical of the highest-end GeForce offering. The RTX 2080 Ti does keep the same size of VRAM with 11 GB but VRAM creep hasn't quite reached 8 GB yet for the vast majority of games. Reference-to-reference, the GeForce RTX 2080 Ti puts up a 32% speedup over the GeForce RTX 1080 Ti, but with custom cards on offer mostly around $1300, greater than the $1200 RTX 2080 Ti Founders Edition price point, it's a not insignificant regression in perf-per-dollar for traditional gaming. Nevertheless, this might be acceptable to those wanting the fastest overkill custom card at the tier above the GTX 1080 Ti/RTX 2080, particularly if looking to play games with HDR or future raytracing, AI, or other RTX platform features. But ultimately, it's hard to make a blanket recommendation for the RTX 2080 Ti because of the $1300 cost compared to the $1000 MSRP, despite being around 6 months after the launch. Dropping down from the fastest flagships brings us to familiar ground. At around the $760 price point, the GeForce RTX 2080 slots into where the GeForce GTX 1080 Ti used to be. Which admittedly isn’t moving the needle much on performance – reference-to-reference, the RTX 2080 does outperform the GTX 1080 Ti slightly by 8% – but it does end up bringing more features for the same-ish price. More importantly, now that last gen Pascal stock has petered out, this range doesn’t have many alternatives, so this is the best of what you can get now for this price. Of course, performance-wise this means that the GeForce RTX 2080 is perfectly suitable for 4K gaming with minimal fuss, though certain AAA titles might see framerates in the 45 – 60fps range. Alternatively, gamers could see this as a better match for high refresh rate gaming on 1440p, perhaps enabling HDR as well. Given the premium costs of G-Sync Ultimate monitors that support 4K, HDR, and 144Hz (among other things), this would be an ideal match for those looking to utilize those features without completely blowing their budget – given that RTX 2080 Ti’s currently go for $1300, while 100+ fps is possible on the less-demanding HDR games. Reference-to-reference, it's around 35% faster than the GTX 1080, but right now custom card prices are closer to the Founders Edition price of $800 as opposed to the $700 MSRP. In turn, despite the regression in performance-per-dollar in conventional gaming compared to the GTX 1080, the RTX 2080 includes RTX technology support with hardware acceleration of real-time raytracing and AI effects. For early adopters not willing to put more than a grand, this could be a good option. What is new in the high-end is the surprising entrance of AMD’s Radeon VII, introducing 7nm to the gaming GPU space. Released last month, the Radeon VII is AMD's return to the high-end, squaring up with the RTX 2080. Bringing solid no-compromises 4K performance, the card puts up a 32% lead over the Radeon RX Vega 64, slotting in as the new Radeon flagship video card. Similar to NVIDIA's Founders Edition models, AMD's Radeon VII can also be purchased direct from AMD for a set SEP - in this case, $699. But generally speaking, inventory appears low and prices fluctuating, as is typical for high-end cards early in the release window. At $800, it's hard to recommend the Radeon VII over the GeForce RTX 2080 for gaming; reference-to-reference, it's around 5-6% slower but at higher power consumption. 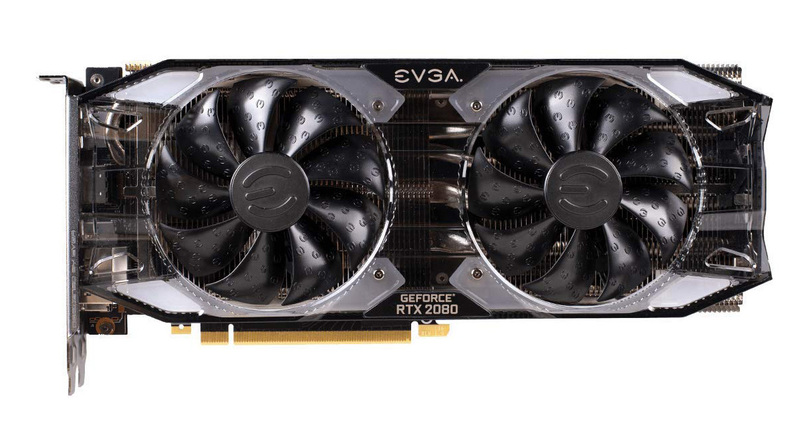 If found at $700, gamers may consider it more of a legitimate alternative against RTX 2080's at the $750+ mark. Naturally for FreeSync users, the Radeon VII is the new fastest Radeon card around, but unlike 6 months ago, GeForce cards can now take advantage of the Adaptive Sync feature. So here, the FreeSync pairing advantage is limited to users with FreeSync 2 HDR monitors. Announced alongside the GeForce RTX 2080 Ti and 2080, the GeForce RTX 2070 succeeds the older GeForce GTX 1070, though not at the same price point. In contrast to its older siblings, GeForce RTX 2070 prices have indeed floated down to its MSRP of $500, giving it the upper hand in terms of performance-per-dollar in this segment. 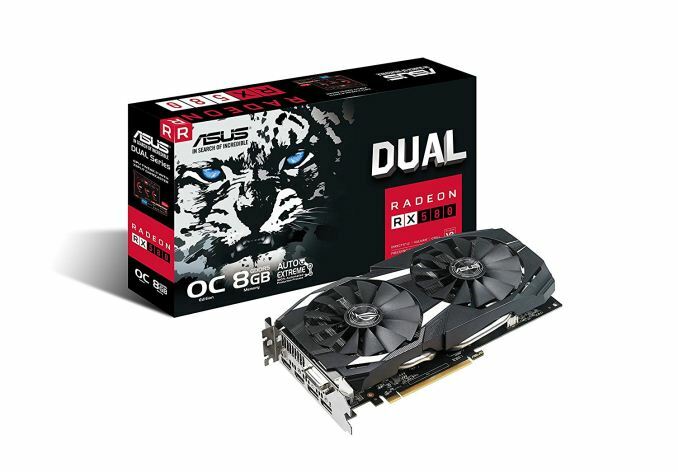 While not the standard 'value enthusiast' $300 offering like the GTX 970, it offers GTX 1080 like performance for conventional gaming, at a GTX 1080 like price. With GTX 1080 inventory all but gone, the RTX 2070 is now the natural replacement. Performance-wise, the GeForce RTX 2070 is capable of pushing around 60fps or more on 1440p on high or maximum settings for the most demanding games. In turn, performance will be sufficient for high refresh rate gaming on 1080p and less demanding 1440p titles. By adjusting graphics settings, the RTX 2070 can also handle 4K, particularly with a G-Sync monitor, as it may not be optimal for single-card 4K on the latest AAA titles. All told, this card outperforms the reference GTX 1080 it replaces by 10%. So the price and performance calculus is very similar to the RTX 2080 cards; NVIDIA doesn't face strong competition here, so the performance and overall value proposition is unmatched. However that doesn't mean NVIDIA's pricing is very aggressive here. In practice the GTX 1080 has been replaced by a slightly faster and more feature-capable card for around the same price. The newest member of the GeForce RTX 20 series family, the GeForce RTX 2060 finally brings a more typical 'value enthusiast' oriented video card for this generation. Without separate Founders Edition pricing, the $350 MSRP is common to all models, and is more-or-less where RTX 2060s can be found today. And with GTX 1070 and above cards well on their way out, the GeForce RTX 2060 stands alone in this price range. Comparing to its Pascal predecessors, the GeForce RTX 2060 performs at the level of the late-generation refresh GTX 1070 Ti, give or take a few percentage points. At the same time, it still supports the full suite of RTX technology features. So in terms of conventional gaming, the RTX 2060 generally puts up 60fps or more at 1440p, and would be a good fit for high-framerate 1080p gaming. At 6GB of framebuffer though, the RTX 2060 has regressed in VRAM capacity at this price point, compared to the previous $379 8GB GTX 1070. While it's not a concern right now, it could be limiting in a year or two. As for AMD, the Radeon Vega 64 is the closest thing they offer to an RTX 2070 competitor. In practice it's going to trail the 2070 by around 10% or so in performance, but currently the card is found at the same $500 price as the RTX 2070. The RTX 2060, in turn, offers 95% or so of the Vega 64's performance, but at a substantially lower price and with better power efficiency. In an interesting bit of segmentation, NVIDIA's latest release is the GeForce GTX 1660 Ti, introducing the carefully named GeForce GTX 16 series. Still based on the Turing architecture powering the GeForce RTX 20 series, the GTX 16 series does lack certain Turing features, namely tensor cores and RT cores. In turn, it does not support the real-time raytracing and AI features of the RTX platform, though it still supports Turing's enhanced shader technology. 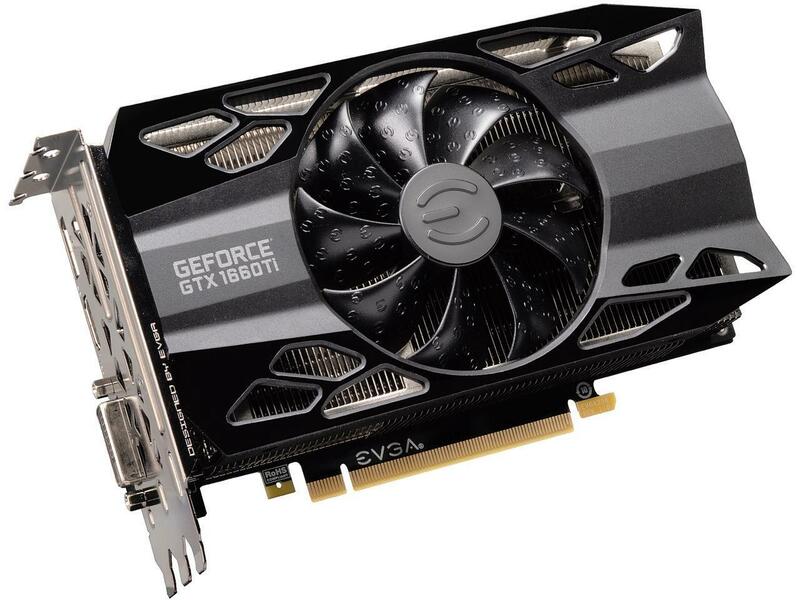 Overall, the GTX 16 series purpose is to provide better performance-per-dollar, and at $280 the GTX 1660 Ti does offer the best price/performance to the other Turing GeForce cards. Directly succeeding the $250 GTX 1060 6GB (1280 core), the GTX 1660 Ti comes in as 36% faster and nevertheless occupies an important slot in the 'value enthusiast' area around $300. Very much akin to the GTX 1070 in terms of performance, the GTX 1660 Ti stands as a great match for all-settings-maxed 1080p gaming or generally smooth 45 - 60fps 1440p gaming. If anything, gamers might mull over paying $279 for a xx60 class card, which performs like a $379 card from two years ago. 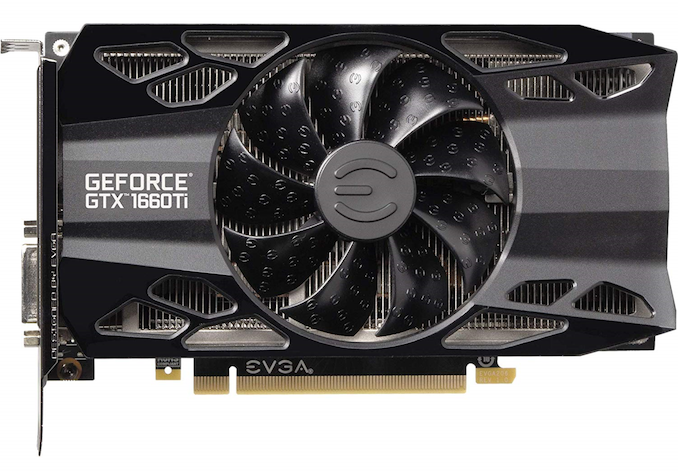 In this respect the GTX 1660 Ti is a much better value proposition than the RTX 2060 above it, but it’s also more expensive than the GTX 1060 6GB it replaces, so it runs the risk of drifting out of the mainstream market entirely. Thankfully pricing here is a lot more grounded than the RTX 20 series cards, but the mainstream market is admittedly more price sensitive to begin with. The release of the GTX 1660 Ti put the screws to the Radeon RX 590, the late-generation Polaris refresh launched last November at $280; head-to-head, the GTX 1660 Ti is faster by about 25% but at significantly less power consumption. 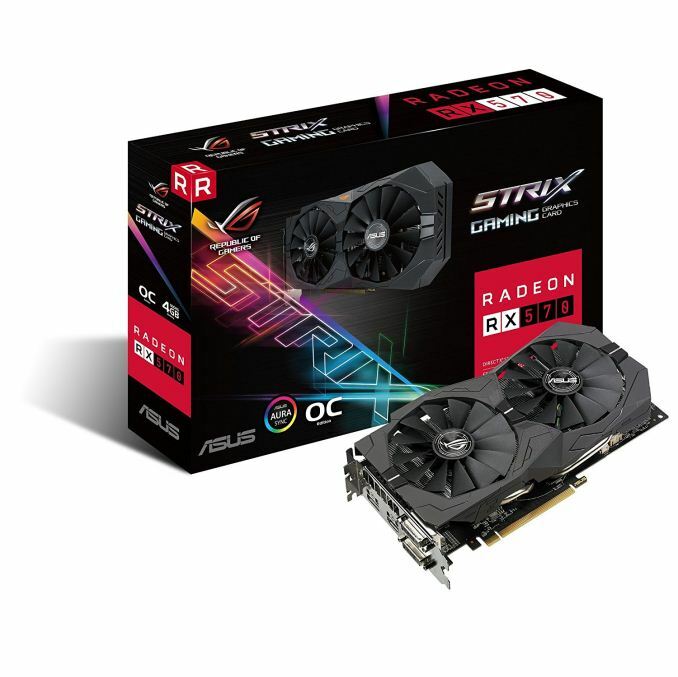 For now, RX 590s are still hovering around $280, and so are presently out of frame. For the Radeon RX Vega 56, however, there were early indications of potentially lowering prices to compete with the GTX 1660 Ti. While an official price cut hasn't been announced, the current prices around the $300 mark can make it a more legitimate alternative. Reference-to-reference, the RX Vega 56 is still around 5% faster on average. So if you can overlook the card's high power consumption – the Vega 56 is well off of NVIDIA's power efficiency here – then there's a somewhat faster and proportionally more expensive (around 7%) option in this price range. Otherwise, the reference RX Vega 56 would work fine to match a FreeSync monitor for high quality 1440p and dialed-down 4K gaming. After all the cryptocurrency mania of the past couple years, MSRP took its time returning to some of the hardest-hit models. Among them is the AMD Radeon RX 570, which is presently found at around $150. At that price point, it's priced better than the lesser performing GTX 1050 Ti, and also brings better value compared to the GTX 1060 models that are being phased out. At launch, we found that the RX 570 performs about 7% over the RX 470 thanks to core and memory clockspeed increases, translating into strong 1080p and playable 1440p performance. For $150, the RX 570 brings a strong value proposition that isn't matched by either the $200 1152 core GTX 1060 3GB slowly on its way out, or the lower-performing GTX 1050 Ti currently around $180. For $50 more, the RX 580 8GB comes into play. While the AMD Radeon RX 580 lagged behind the GTX 1060 6GB (1280 cores) by around 7% at 1080p and 1440p at launch, nowadays RX 580 performance is more-or-less on par or better in most scenarios, though certain games will give the 1280 core GTX 1060 6GB the edge. The RX 580 does have higher power consumption, but the phasing-out of the GTX 1060 6GB has left it priced anywhere from $50 to $100 higher. For $200, the RX 580 8GB also provides an ample amount of VRAM for the foreseeable 1080p future. What's Next for Video Cards in 2019? After NVIDIA's GTX 16 series unveiling last month with the GeForce GTX 1660 Ti launch, the mainstream market is in for some big changes, and arguably overdue for it. At $280, the GTX 1660 Ti isn't quite a mainstream offering itself, but the expected non-Ti GTX 1660 and lower models should be targeting that range. NVIDIA has taken the top-to-bottom route quite closely for Turing, again pushing the price brackets higher where the mainstream hasn't seen anything even after five cards in. Given the rapid cadence of GTX 16 and RTX 20 series launches, the next couple months might turn out to be quite busy, given that those lower-tier products are necessary for high volume. On the other side of the aisle, AMD's new high-end release, the Radeon VII, hasn't dramatically changed the competitive landscape, though it does offer more options for consumers in that enthusiast market. More pressing is a competitive response to NVIDIA's newest mid-range-ish and lower offerings. While AMD's upcoming Navi architecture is due sometime later this year, details are of course scarce; in the meantime, the older first generation Vega and Polaris will need repositioning to hold the fort. For now, the reaction has been a lot on the game bundles side, which both AMD and NVIDIA are presently utilizing. "a true successor to the Pascal-powered GTX 1080 Ti, which has all but ." Vanished. Much like the last word in that sentence, apparently. Just upgraded one of my rigs with the GTX 1060 6GB GDDR5X dual fan from Newegg last week for $199. It’s $209 now with some free stuff. Some of the 1060s 6GB are up to $280, such as EVGA. At $199, I think this card is the best bang for the bucks. I only tried a couple games so far (SoulCalibur 6, Skyrim) and some tender test. Max temp 41C, ambience 28C, fan speed always at minimum 33%. SC6 at maximum settings with 100% scaling on 1080p and it only uses ~70% GPU at constant 60fps. I forgot specific settings on Skyrim (this freaking game induces nausea and give me headache every time I play it).